We are the One-Stop-Shop for all your needs in the non-ferrous metal sector. This holds true not only with regard to casting methods and real net output ratio, but especially in the area of materials. 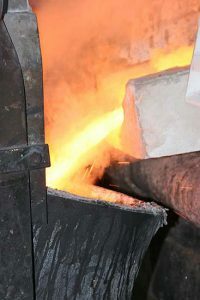 As a foundry for non-ferrous metal, copper (Cu) is our basic raw material. The favourable characteristics of copper and its alloys have been known to mankind for several thousand years. Because of its relevance for the development of Western culture, an entire epoch, the Bronze Age, was named after it. Based on the specific and heterogeneous needs of our customers, we have always dedicated ourselves to developing innovative materials. 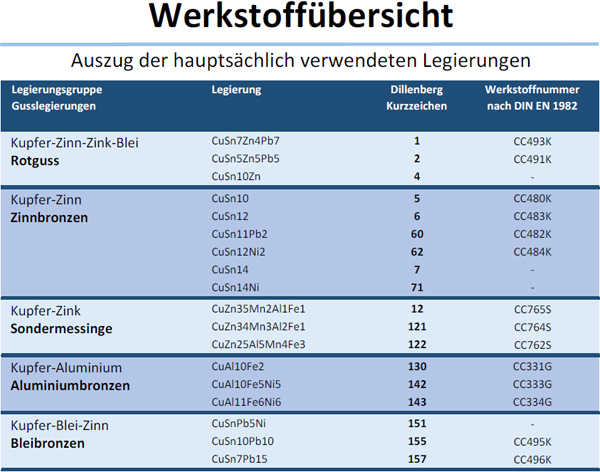 Today, we cast over one hundred different alloys – and continue to develop new ones together with our customers. All our alloys are in compliance with the DIN and the standards of the European Union.